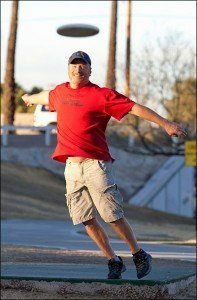 Learn from Hall of Fame Disc Golfer Dan Ginnelly by filling out form below! Dan “Dan-o” Ginnelly has been one of the most influential players and promoters over his thirty year career. He served as Tournament Director for the 2003 Pro & 2005 Amateur PDGA World Championships and was also TD for one of the most elite events on tour the Memorial Championship for many years. His lessons can help with all aspects of your game and get you shooting better after only one session.